Aditya and his younger sister Ananji were wary of their Ammuchi’s spooky tales until they learned to join in with ghost sightings of their own among the mango trees in the garden. Aditya, who narrates the story, reassures young readers that they are all made up – ‘Don’t get scared.’ But when Ammuchi gets sick and dies just before Aditya’s tenth birhday, the sunshine goes out of the children’s lives – until one day a few weeks later a huge butterfly lands on Aditya’s nose. Ananji calls it Ammuch Puchi – ‘Grandmother ‘ and ‘insect’. Unsurprisingly, this arouses scepticism in their school-friends and concern in their parents; so Ammuchi Puchi becomes their secret until she reveals a secret of her own. 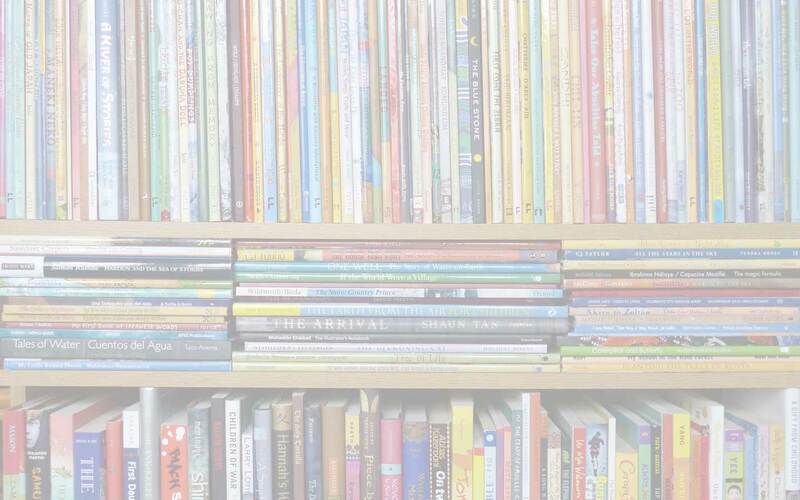 This isn’t a fairy tale: indeed, the story is firmly rooted in plausible reality – but imagination plays a big part too, right from the beginning when Ammuchi encourages the children to use theirs; and an openness to imagination in turn opens up the possibility of a more-than-three-dimensional world. Is Ammuchi completing some unfinished business in the form of Ammuchi Puchi? That is very much left to the reader to decide; I know what I think. What Ammuchi Puchi very clearly offers is a processing of grief at the loss of a beloved grandparent. In the immediate aftermath of their Ammuchi Puchi encounter, the children emerge whole and enriched, knowing that the love shared with Ammuchi will always be a part of their lives. The impact of the immediate shock of bereavement is felt in the muted tones of the illustrations here, too, so in contrast with their vibrancy throughout the rest of the book. Incidental touches in the narrative point to the story’s Indian setting (for example, Ammuchi’s mouth was always stained with betel juice): and it’s all brought to life in the illustrations with their glorious greens and brightly patterned fabrics – and little Anjali with flowers woven through her hair. However, the essence of Ammuchi Puchi is of universal appeal and relevance. It’s a beautiful picture book, both for sharing and, with its satisfyingly substantial text, for an older child to read alone. It is a moving, thought-provoking story that doesn’t offer any answers, but only asks of its readers that they have an open mind – and is all the richer because of it. 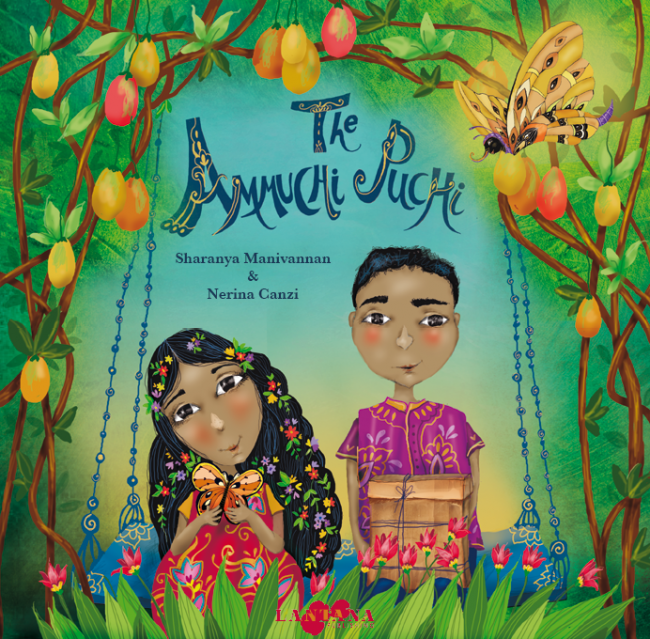 children's books set in India, Lantana Publishing, MWD book reviews, Nerina Canzi, Sharanya Manivannan, The Ammuchi Puchi. Bookmark.